Attention and dedication at every step, from its birth in the vineyard, to its transformation in the cellar, to its maturation in oak. Only the healthiest, absolutely perfect clusters of Sangiovese are destined for Giodo’s Brunello di Montalcino. The wine’s maturation—a full two and a half years—takes place in 700-litre French oak casks, followed by a further 18 months in the bottle, a period of time that is essential for producing a Giodo Brunello di Montalcino of such elegance, balance, and depth. Tasting it reveals a wine of great breed—complex, deep, intriguing, intense, and velvety, not opulent or excessive, but with extraordinary length. 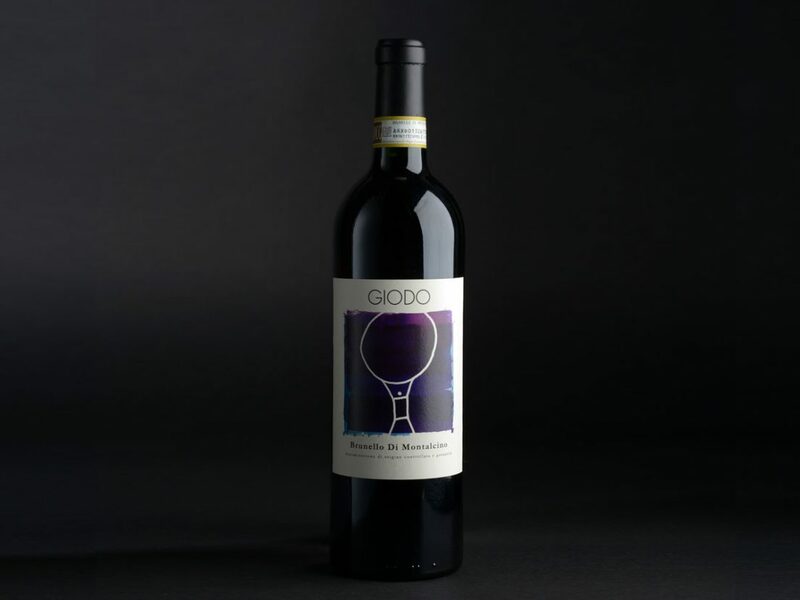 The bottle label is a story itself: a stylised man representing Sangiovese supports the world of wine, since Sangiovese is the sole interpreter of the Montalcino denomination.